Whether on a trip across town or on the interstate, or on a remote back country road, Cortech’s Super 2.0 collection of stylish, roomy and durable bags offers several configurations and storage options to keep your travel belongings readily accessible and protected from the elements. All constructed of 1680 denier ballistic polyester and 1800 denier twill Jacquard, with expansion capabilities on some models to make even more room for more items as well as multiple mounting options, Cortech Super 2.0 luggage really is an all-in-one solution for optimizing your motorcycle traveling experience. 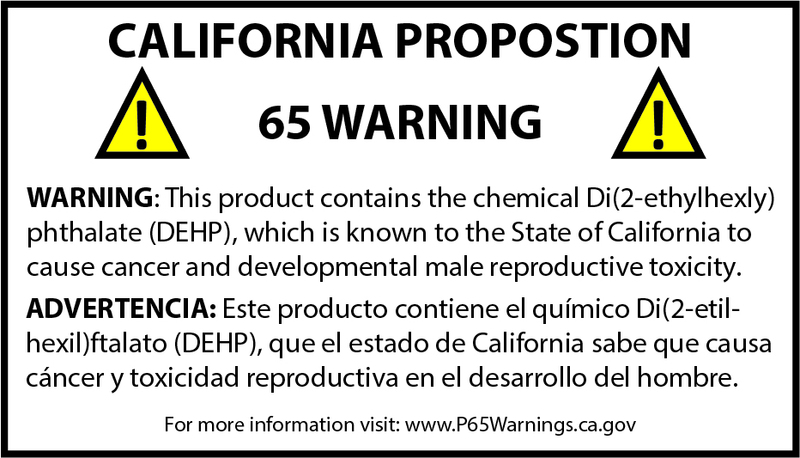 16.9”L x 6.7”W x 10.2”D (not expanded). • 1680 denier ballistic polyester and 1800 denier three-lined twill Jacquard weave side pockets with a polyester backing. • Protective heat shield on lower section of bags and back piping (minimum clearance of 2” required). • Protective non-slip, non scratch diamond pattern strap and side pads help to protect the motorcycle’s finish. • Two-Tone red and black soft interior lining. • Zippered side pocket on each bag. 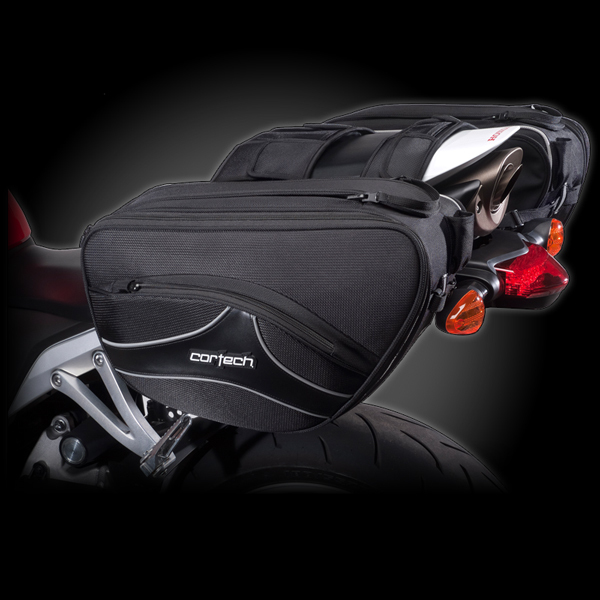 • Quick-Release mounting system connects to Cortech® Super 2.0 Tail Bag. • Reversible main closure zipper sliders allow for concealment when closed. • Locking zipper sliders and expandable main compartment increases each bag’s capacity. • Rain covers included (removable).